Whether you are working cow or spending the day on the trail, the Air-Lastic™ cinches and girths by EquiPedic® are the perfect fit for any horse. Like all athletes, horse’s chests expand and contract as they breathe. 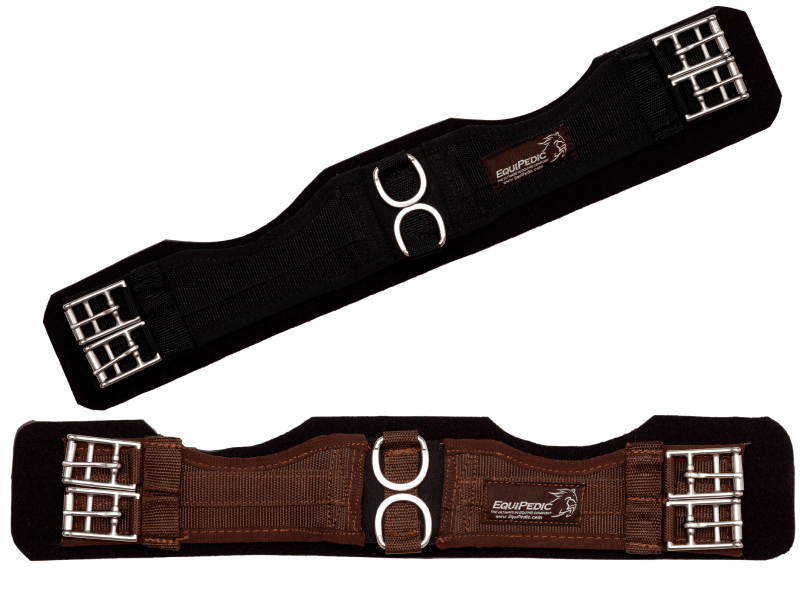 The Center Stretch Elastic of the Air-Lastic™ cinches and girths, allow them to expand as the horse breathes and then come back to shape immediately. The Air-Lastic™ foam, with its 4 way stretch, will conform and mold to the horse’s shape as they move. It will keep them comfortable and dry as the Air-Lastic™ foam is also 100% breathable and wicks moisture away from the horse. The shape of the Air-Lastic™ cinches and girths is curved to fit the anatomy of the horse so there is no interference at the elbow when your horse moves their legs. The design of the Air-Lastic™ cinches and girths by EquiPedic®, allows you to ride with confidence without cinching down as tight, for a happier, more comfortable horse. As the rider, you will appreciate that the Air-Lastic™ cinches and girths are easy to clean. Simply spray off with a hose after ride to keep it looking its best! Your horse will appreciate the antimicrobial properties of the Air-Lastic™ foam, keeping them free of bacteria and fungus. Breathability.... performance.... easy care.... the Air-Lastic™ cinches and girths by EquiPedic®, offer the Ultimate In Equine Comfort™ and are real athletic gear for the athlete in every horse. Our Western Cinches in sizes ranging from 22 inches to 32 inches in length. Choose from Black or Brown. 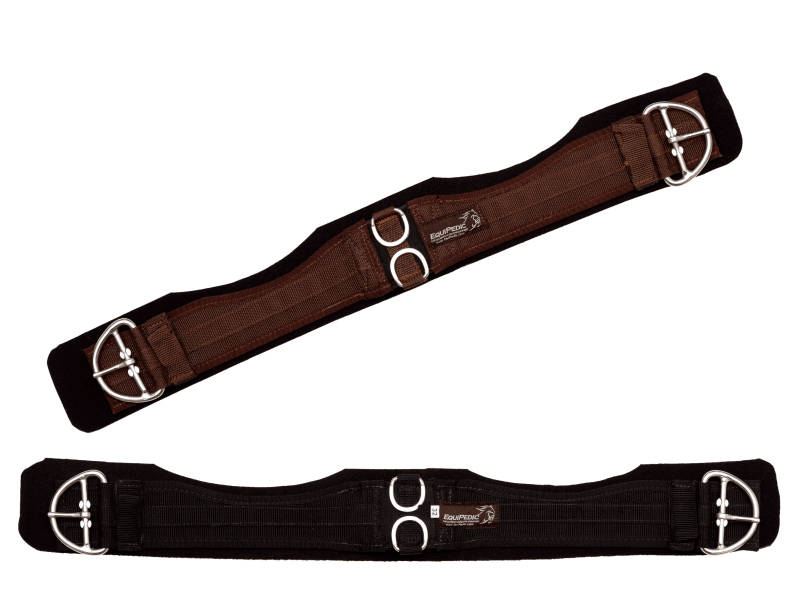 Can the length of your cinch/girth affect your horse’s performance, your saddle’s fit and your enjoyment of your ride?